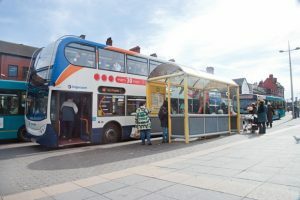 Residents in Sefton have the chance to give their views on bus services in the area in the first consultation phase of a new bus network review in the borough. This initial consultation phase of the review will run from Wednesday, February 27 until 5pm on Tuesday, March 26. Members of the public will be able to give their thoughts and feedback via an online survey which can be access from the Bus Network Review webpage at www.merseytravel.gov.uk/busreview. 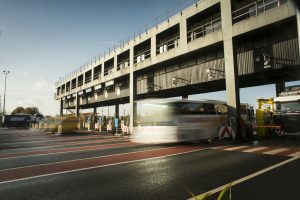 Merseytravel, as part of its Bus Strategy, is committed to carrying out regular bus network reviews across the Merseyside bus network, with the aim of creating an improved and simpler network. The first set of reviews took place from 2016 to 2018. Going forward, there will now be a regular cycle of network reviews, ensuring that the bus network delivers the aspirations of the Liverpool City Region. Historically bus routes were considered on a piecemeal basis. The idea of these network reviews is to consider the commercial network and the supported network – that which relies on public subsidy via Merseytravel – as a whole. This will ensure that the network best reflects the needs of the public and adapts to plans for future housing, leisure and employments developments. As part of the Bus Alliance with Arriva and Stagecoach, and with support from other operators, Merseytravel is working through these network reviews with the aim of getting more people using the bus by creating a better bus experience. Part of the review will look at the current supported bus network and consider how increasingly limited public resources can be focused where there is most need. To help this, we are looking for feedback and information from the public about how they use the bus network in the area, particularly any supported bus service. The first stage of review is to gather feedback on bus services in the area, which will help inform any potential changes. 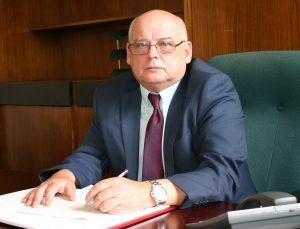 “The original set of bus network reviews helped us to begin to shape the bus network in Merseyside to better fit the needs of residents and businesses, while facing up the challenges we face in trying to fund supported services. “By listening to the feedback gained in those reviews, we were able to work with commercial operators as part of the Bus Alliance to see where existing routes could be adapted to cover any changes. This has not been the case across the country, where some local authorities have taken the tough decision to withdraw all supported services. 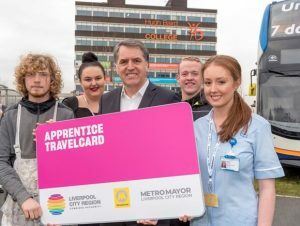 Liverpool City Region Metro Mayor Steve Rotheram has officially launched one of the country’s best discounted travel schemes for young people in training. Holders of the Apprentice Travelcard must be enrolled participants on registered apprenticeship schemes. Liverpool City Region Metro Mayor Steve Rotheram said: “Apprenticeships are a vital pathway to work for young people across the Liverpool City Region, leading to skilled and well-paid jobs. Phase 2 will take place between 12 November and 16 December with the closure of Bank Hall station. Train services will not be disrupted on this line as they will continue running through the station, although they will not stop there. High quality rail replacement buses will be in operation between Bank Hall and Sandhills stations to keep passengers moving to/from Liverpool, Kirkby, Ormskirk and Southport. Alternatively passengers may prefer to make their own way straight to Bootle Oriel Road or Sandhills stations to start their journey.